A new version of Adobe Flash Player has been issued with tighter security controls. This now blocks playback of flash files stored on your computer and will only play flash files from the internet. Affected – Premiere Pro CS4-CS6 tutorials, Adobe Encore tutorials, the Flash versions of the Grass Valley EDIUS 6 tutorials. 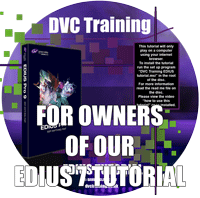 My new tutorials in Premiere Pro CC and Grass Valley EDIUS 7/8/9 are not affected. 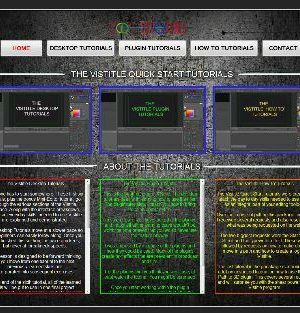 My older tutorials were made using Adobe Encore’s Flash output. In the years since they were made things have changed and Adobe Flash is being slowly “phased” out. In the latest update for Adobe Flash, available in September 2016, Adobe have changed Flash so that it will no longer play Flash files which are situated on your hard drive, which means our older tutorials will not work. The following video shows how to get my old tutorials, which work in Flash and were made with Adobe Encore, working in a browser after recent Windows changes. Windows 8/10: Right-click on the Start menu and choose Control Panel. or ..
Windows 7: Left-click on the Start menu and choose Control Panel. Make sure “small icons” is selected on the top-right. Add in the folder where the tutorial is stored. 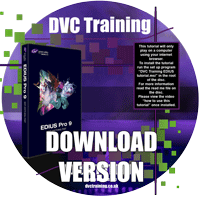 If you have bought a DVC system and we installed the tutorial for you this will normally be E:\Tutorials or sometimes F:\Tutorials, if you’re playing the tutorial directly from the DVD drive then it will be K:\ . If you have just bought the tutorial and installed it yourself this will be wherever you decidec to install the tutorial. Check that the folder you chose is listed in the box headed “Trusted File or Folder Location”. Sometimes Flash does not add in the folder correctly and you have to click add, then add folder and type in the location rather than browsing for it. Hit “Close” on the “Trusted Location Settings” window and finally hit the “x” on the top right corner of the “Flash Player Settings Manager” window. Close the browser that has the tutorial loaded. Then double click on either the desktop icon for the tutorial or on the Index.html file which is in the folder where the tutorial is stored. It should open in Internet Explorer, Microsoft Edge or Google Chrome and work properly (although see the notes below). It still will not work in FireFox. Most browsers will not let you play Flash files without activating Flash first. If you have played Flash files before then the tutorial should play after you have done the above. However, if you have never played Flash files Flash may need to be activated. Click on “allow blocked content”. In Google Chrome a windows will appear which says “click to enable Adobe Flash player”. You must click this, and then click “Allow” on the next window which appears. If this does not work then use the instructions in the video at the top of this page. In Microsoft Edge the tutorial should just work. If this sounds like a lot of faff, I am afraid it is. 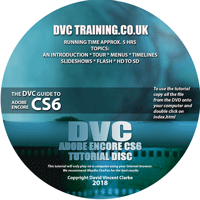 When these tutorials were made Flash was everywhere, but things have changed and Flash is not fashionable any more. I have reworked the Encore tutorial to have a new HTML5 interface which does not suffer from these problems, but I have not reworked my Premiere Pro CS6, Liquid etc tutorials with a new interface. It is unfortunately a lot of work and since they cover programs you can no longer buy no-one will buy them any more, so I cannot afford to spend the time re-working them.